The podcast app Pocket Casts has received a healthy update this morning, bringing with it a host of bug fixes and other stability improvements. Pocket Casts is by far my favorite podcast app for Android with its ability to sync between my devices and generally good performance. The update, however, aims to improve that performance and stability. The updated build is 5.4.1.324 for those keeping score at home and is available now in the Play Store. are pretty epic and poke a bit of fun at the Apple folks. Build 324! Our most exciting build yet. Chamfered edges. Thinner. Lighter. Less Ports. Improved Camera. Comes in one new colour (yeah you spell it with a ‘u’ America). Now hand over your money, plz. K thx bye. [Engages Reality Distortion Field]. Joking aside, I’ve been tinkering in the app this morning before this post and things are good. There not any obvious changes but the app generally feels a bit peppier than the previous build. 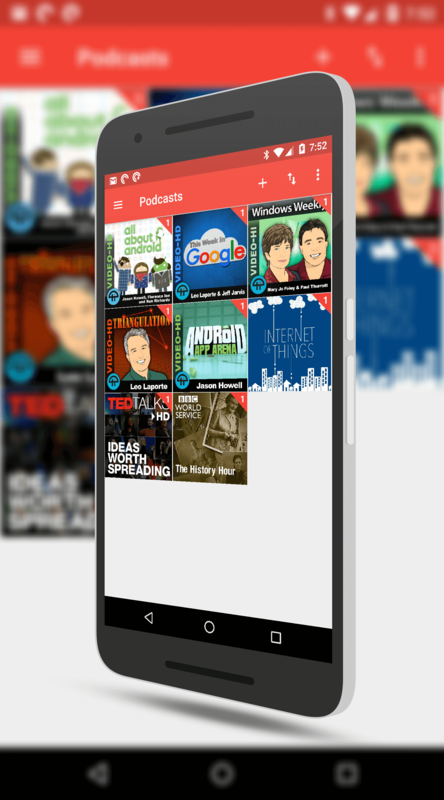 Pocket Casts is $3.99 for Android (you can put it on all of your devices). Once you have your account setup, you can sync your devices to keep content up-to-date with each other.